Brilliant silvery straw color. Fruity, floral aromas and flavors of lilacs, roses and orange blossoms, spiced lychee and peach, and key lime custard with a silky, tangy, fruity light body and a smooth, interesting, medium-long finish with overtones of lemon spritzed melon and nectarine skin with silky, fruit tannins and no oak flavor. A very tasting and attractive fruity, floral white with fine balance. 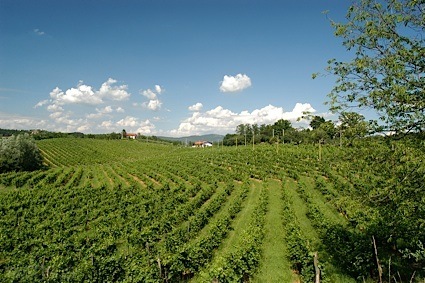 Bottom Line: A very tasting and attractive fruity, floral white with fine balance. 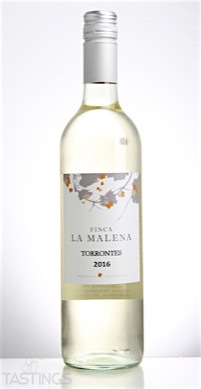 Finca La Malena 2016 Torrontes, Mendoza rating was calculated by tastings.com to be 93 points out of 100 on 1/24/2017. Please note that MSRP may have changed since the date of our review.